I was recently introduced to SOL REPUBLIC headphones when I was invited to the Singapore launch of tokidoki and TKDK headphones. tokidoki ("sometimes" in Japanese) is a Japanese-inspired lifestyle brand created in 2005 by Italian artist Simone Legno. 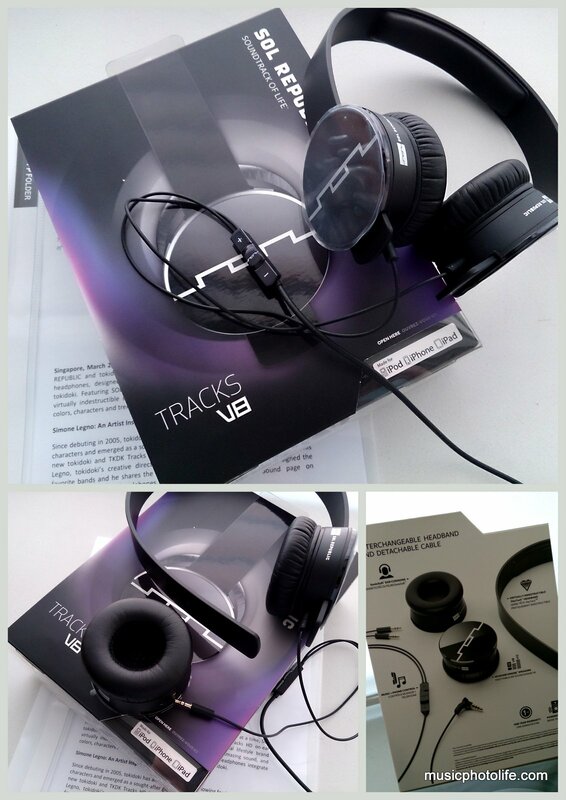 A key-selling feature of SOL REPUBLIC headphones is its ability to interchange the cables and indestructible headbands with the various designs sold in the stores. The cables come with microphone, volume controls and answering button and are compatible with iOS devices (Android devices can support the answering button and microphone). 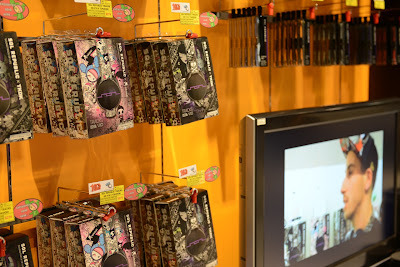 tokidoki headphones on sale at Stereo Electronics. There are 3 "sound engines" speaker models. The "Tracks" V8 is the entry-level model, followed by "Tracks HD" V10 and the "Tracks Ultra" V12. The SOL REPUBLIC on-ear headphones audio characteristics are strong bass, prominent mid-tone and recessed treble. 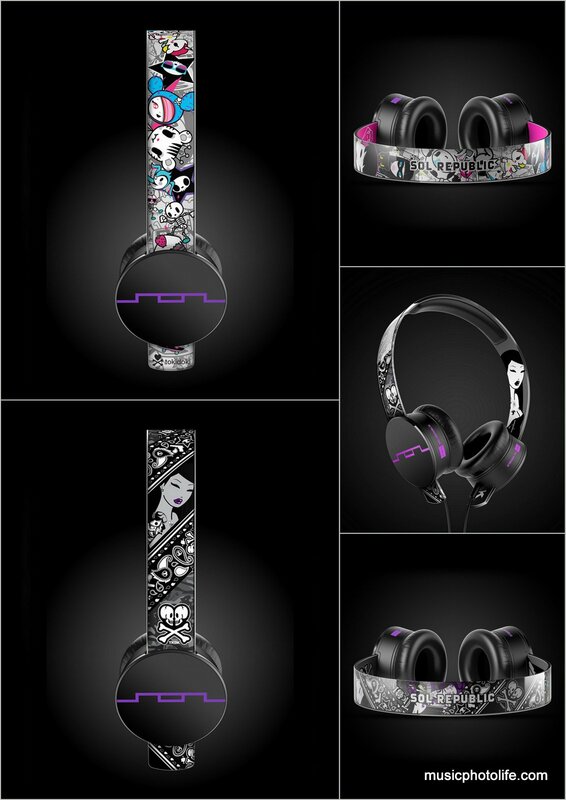 The new tokidoki and TKDK headphones use the V10 sound engines, delivering heavier bass than the V8, and according to SOL REPUBLIC, is ideal for punk and electronic dance music. For my kind of listening preference, I would boost the treble and tweeter frequencies, and the headphones would sound great. For listeners who love a good thump on the bass frequency, the SOL REPUBLIC headphones will satisfy them. And the ability to stand out from the crowd with mix-and-matching the headbands and cables is an attractive proposition for the individual. There are third party companies that provide custom paint jobs, for instance, ColorWare. And I believe there are also private artists who could custom-paint your headbands to make them look as unique as the SOL REPUBLIC latest tokidoki series. 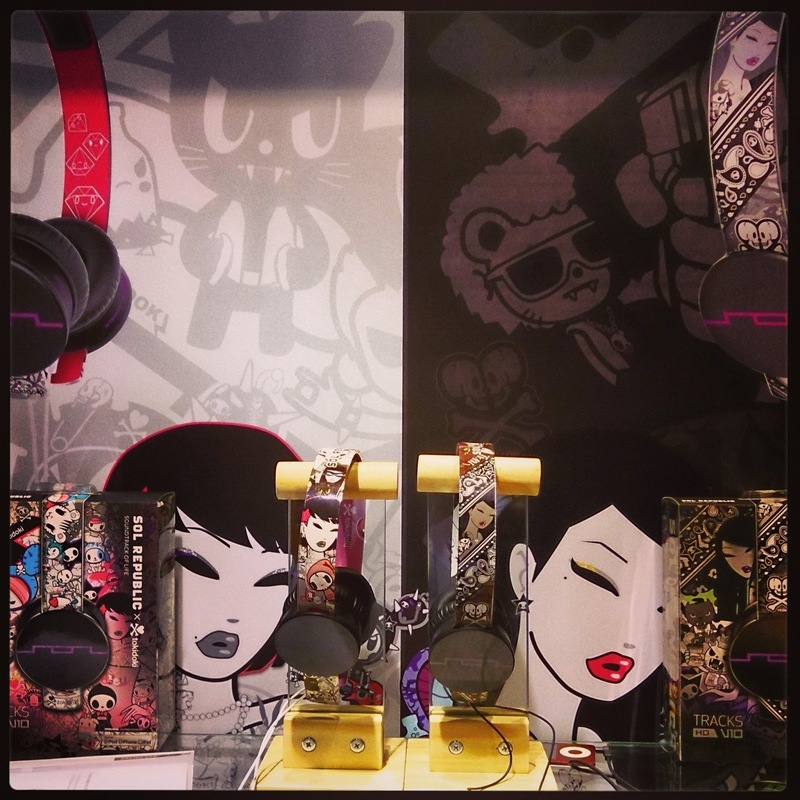 The tokidoki and TKDK headphones are on exclusive sale at Stereo Electronics and soon at all leading retailers, and are priced at S$279. Read more music and tech reviews by Chester Tan at Music.Photo.Life.